If you are thinking of setting up your own DIY home automation system like I did, you may have already thought of various things it should do. For example, light up the corridor in the hall when motion is detected but only if its dark. With conventional Z-Wave sensors, you need a separate light sensor and motion sensor to achieve this. But a single multi sensor device like the Aeotec Multisensor 6 that has both light and motion sensors can do this and so much more, at a fraction of the cost. If you want the long answer, check out my Home Automation Guide. If you would like the short answer, Z-Wave is the industry standard for reliable, non-cloud reliant, self sufficient, low-power home automation. I have been using Z-Wave devices from different manufacturers and everything has always just worked. All my sensors are battery powered, and those batteries last a year at least. My home automation controller is the Vera Plus – no ugly cloud subscription or cloud-reliance here, an Internet connection is strictly optional. What is a Z-Wave multisensor? 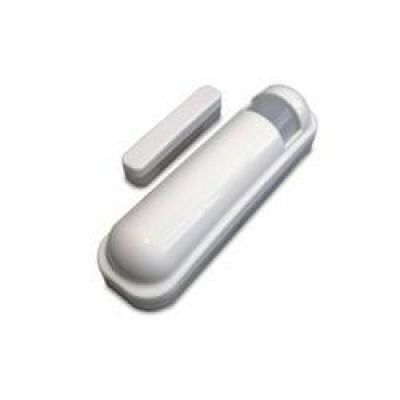 A Z-Wave multisensor is a small wireless device that typically runs on battery power and can sense motion using a PIR sensor and measure multiple environmental factors such as temperature, humidity, or light levels. Which to choose – Single sensor or Multisensor? I prefer multisensors because this approach let you place just one device per room and still get all the important readings. It doesn’t hurt that they are great value for money too! What to look for in a multisensor? Types of sensors: More the merrier! You can choose from Motion, Temperature, Light levels, Humidity, UV intensity and Vibrations. 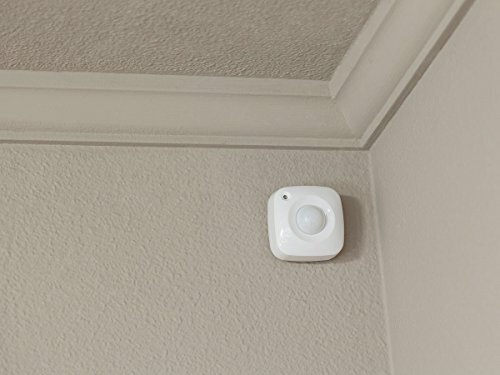 Sensitivity: Make sure the sensor covers the range of motion detection (distance and angle) or temperatures you want to monitor. Z-Wave Technology: Look for the latest Z-Wave Plus 500 series enabled devices. Power supply: Most multisensors are battery only but they last 1-2 years. To maximise battery life, sensors will usually send an update to the hub or controller only when readings change by a noticeable enough percentage (say 10%). But when powered by mains power (AC), these sensors can not only provide realtime readings but also act as repeaters or extenders. This is great because your Z-Wave network becomes that much stronger and wider. Operating range: Most sensors can easily cover a 30 metre range, the mains powered models can go even higher. Tamper-proof: Some sensors have a tamper switch on the back which can send an alert to the hub or controller if someone tampers with them. This is important if you are using the sensor outdoors under a porch or another area where it can be accessed. Aeotec is the brand name of Aeon Labs, a company founded in 2006 and headquartered in California. They have offices in London and Hong Kong also, plus manufacturing facilities in China. Aeotec makes every Z-Wave device you can think of – power plugs, strips, multisensors, flood sensors, water main valve controllers, dimmers, relays, garage door controllers, sirens, touch panels, remotes, doorbells, energy meters, and on and on. Another brand you may come across is Oomi which are white-labelled Aeotec products. The Multisensor 6 is the only 6-in-1 multisensor in the market and represents great value for money with the motion, temperature, light, humidity, UV and vibration sensors all packed into a tiny cube. All these features haven’t compromised battery life though – I have been using the Aeotec Multisensor 6 for over 2 years now and only had to change the batteries recently. Of course you can always run it on AC power using the included USB cable – you just need to provide a power adaptor. In AC power mode, the Multisensor 6 will send measurements to the Z-Wave controller in realtime in addition to working as a Z-Wave network extender/repeater. 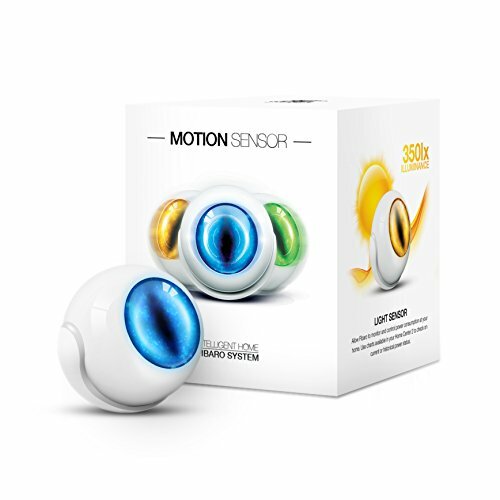 The Fibaro Motion sensor is more than what its name suggests. Its actually a multisensor that can measure temperature, light intensity, and vibrations in addition to motion. The design element was given strong consideration by Fibaro and can be seen in the unique cat-eye style LED and the round shape of the sensor. The round shape and the brilliant cradle design let you point the sensor precisely and avoid blind spots in the motiond etection zone. The first Z-Wave sensor I bought was in fact this very Fibaro multinsensor. I have been using it for more than 2 years and have been impressed with its performance and battery life. I especially like the multicolour LED that flashes when motion is detected. The colour of the LED depends on the temperature in the room. Too cold and it shines blue, green if its just right and orange if its too warm. So whenever you enter the room, you can immediately see what the temperature is like by observing the colour of the flashing LED. The Monoprice brand needs no introduction but what is a surprise is their venture into the Z-Wave world. This 4-in-1 sensor is part of a broad own-branded Z-Wave portfolio – motion detectors, door/window open/close sensors, recessed door sensors, garage door sensors, shock or impact sensors, smart plugs, smart sockets, and smart bulbs. The multisensor is remarkably similar to the Zooz sensor below, so I suspect it is just white-labelled by Monoprice. The main difference between the two is that the Monoprice works on AAA batteries whereas the newer Zooz version works off a single CR123 battery. Zooz is a relatively new player in the market that focuses purely Z-Wave accessories. But they have a wide range of products ranging from the usual smart plugs, multisensors and sirens to smart plugs for heavy duty appliances, and even a range of diverse in-wall switches and dimmers. As I mentioned above, the Monoprice and Zooz sensors are similar, and the main difference being that the Zooz works off CR123 batteries that last longer than the AAA batteries in the Monoprice sensor. 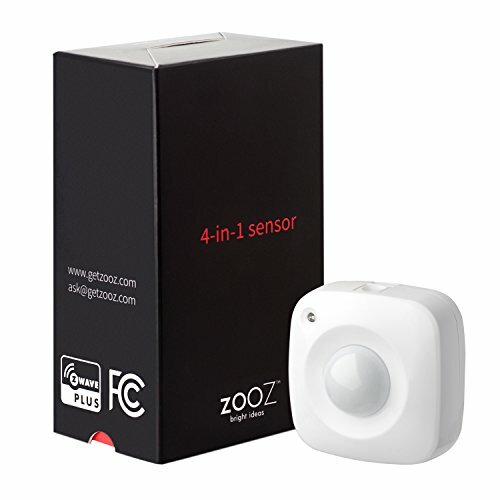 Zooz claims their sensor has faster motion detection and reporting abilities. This may also explain the different prices of the two sensors. The included user manual is very detailed and provides clear instructions for mounting the sensor, inclusion into your Z-Wave network, association with other Z-Wave devices, exclusion from the network, and adjusting the various parameters if you would like to customize the sensitivity of the various sensors. It can be mounted either in a corner, the ceiling or on the wall. A mounting bracket is included for this purpose or you can use the included adhesive to fix the sensor directly to a wall. A tamper switch is present at the back of the sensor and will activate if the device is moved off the wall when powered on. The Zooz has a motion detection range of 40 feet and 7 levels of motion sensitivity. You can adjust the default trigger level of 15 seconds – this is the time when motion is reported again after the initial trigger. Or in other words it will ignore any subsequent motion for 15 seconds after the first trigger. This setting is great for avoiding multiple motion alerts for the same moving object in the scene. The temperature reporting precision can be adjusted from 0.1 – 1 degree. Light level is reported as a % (not lux) and you can adjust the reporting threshold from 5-50% – the % difference required for a reading to be triggered and sent to your hub or controller. Relative humidity is reported as a % and the reporting threshold can be adjusted between 1-50%. Philio is a Taiwanese manufacturer that has been in business since 2012. They make a range of home automation and security products including cameras, sensors, controllers, smart plugs and even door locks. The PST02 series of sensors comes in three models indicated by the suffix A, B or C after the model name. A indicates the 4-in-1 model which has sensors for motion, illumination, temperature and the door/window open/close detection, B loses the open/close sensor, whereas C loses the PIR motion detector. All three models have the latest Z-Wave 500 series chip allowing concurrent multi-channel support to reduce interference, improved RF range, and up to 100kbps transmission speed. The Philio Tech multisensor comes pre-installed with a CR123A battery. The included user guide is very detailed, accurate and well-written. Adding the Philio sensor to your Z-Wave sensor is just like adding any other Z-Wave device – but the sensor makes it even easier and auto-starts the inclusion process when you pull off the insulation mylar. The device also supports the exclusion, reset and association modes as expected. There are also two tamper-proof switches at the back and the front which are great considering you will have it installed on doors or windows. Some other interesting features are the OTA (Over The Air) firmware upgrade and a DIP switch to put the device into Test mode. Test mode allows you to test the device functionality without actually installing it. The 4-in-1 sensor has is based on the latest Z-Wave 500 series chip and has a network range of up to 100m under optimal conditions. The included CR123A battery is good for 2 years of operation. Just like the Philio Tech sensor above, the Vemmio also supports motion, illumination, temperature and the door/window open/close sensing. Temperatures ranging from -25 to 90 deg C can be measured, motion is detected up to 11 m away, light levels ranging from 0-1900 lux can be measured and a two-sided reed switch takes care of open/close detection. Installing the sensor is remarkably similar to the Philio Tech sensor above. It almost makes me think that it’s the same hardware underneath the branding! Just take care that you include the device in your Z-Wave network before mounting it. The first step is always to put your Z-Wave hub into Inclusion mode. Pressing one of the Z-Wave buttons on the front or the back side puts the sensor into Inclusion mode, and after inclusion it serves as the Wake-up on demand button. Any battery powered Z-Wave device has to be in wake-up mode if it is to receive new settings from the hub. However for first time installation, just pull off the plastic tab on the back to activate the sensor and this will put it into Inclusion mode automatically. When successfully added, the LED will flash once. This should not take more than 30 seconds. You can also associate the sensor directly with other Z-Wave devices such as a thermostat. Resetting the sensor is possible if you want to move it to another Z-Wave network. 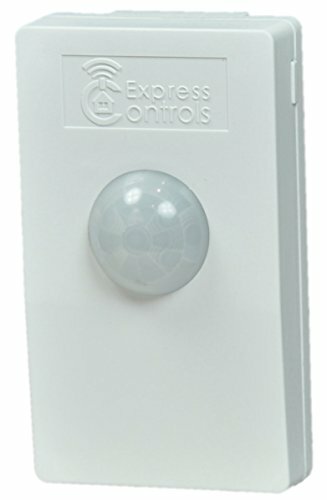 Express Controls was founded in 2003 by Eric Ryherd and is not just a manufacturer of Z-Wave devices but also provides product and software development services also. The EZMultiPli Z-Wave Plug-in Multi-Sensor is a unique device because it is designed to be plugged into an AC socket. No batteries here! This lets the sensor act as a Z-Wave repeater and network extender as well. The sensors included are motion, light and temperature. Motion can be detected up to 12 feet away with 90 degrees coverage. Temperature can be measured between 0 – 170° F range with a resolution of 0.2°F. Light levels can be detected up to 10,000 lux and is reported as a %. An interesting feature is the night light feature with a choice of 8 colours. 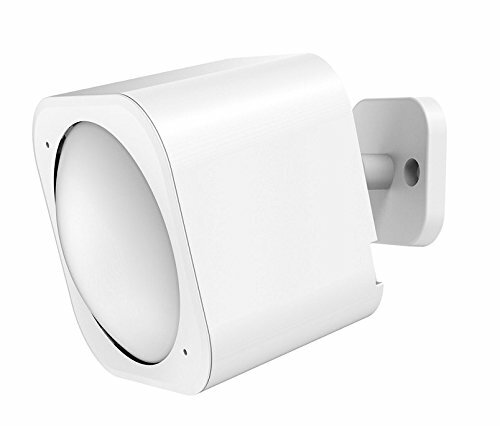 Being AC powered, the range of this sensor is up to 100 feet. To set up the EZMultiPli, plug in the sensor and the LED will turn blue. Put your hub into inclusion mode. Then press the push button on the sensor once and the LED will start blinking to indicate it is in inclusion mode. Once it has joined your Z-Wave network, the LED will stop blinking blue and will turn white whenever it senses motion. Shenzhen Neo Electronic Co. is a Chinese company started in 2002 and focuses on retail smart home equipment. Their product lines can be divided into Smart Home Kits, Z-Wave devices and Apple Homekit. 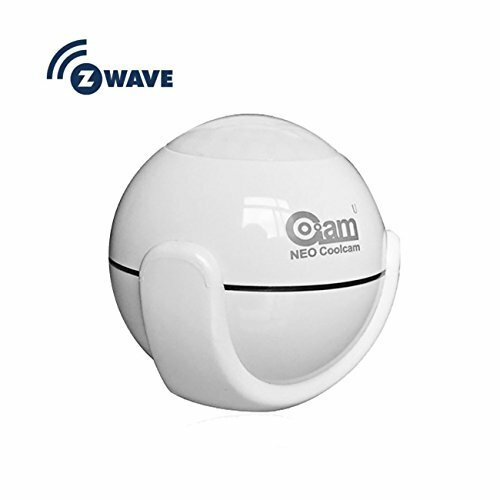 Their Z-Wave devices are sold under the Neo Coolcam brand. The Neo 3-in-1 supports motion, light and temperature sensors. Motion detection reange is up to 7 metres, with 90 degrees coverage. Temprature can be measured between 0 and 40 degrees C. The unit is compact with dimensions of 45mm x 45mm x 48mm. The sensor runs on a single CR123A battery that should last between 1-2 years under normal operation. 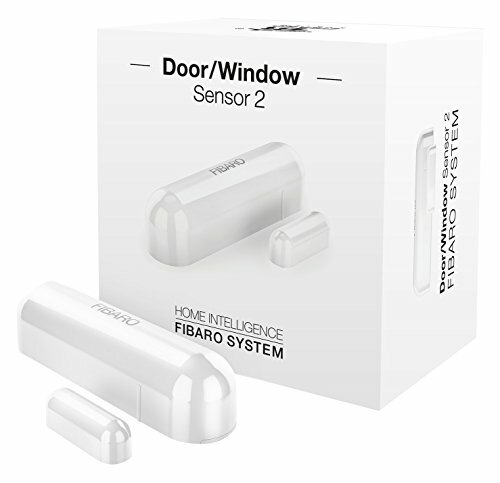 The Fibaro Door/Window Sensor 2 is a wireless, battery powered contact sensor that uses the Hall effect. You may have heard of the common reed switch sensor employed by door and window sensors, but what is a Hall effect sensor? The reed switch is an electrical switch that mechanically closes when a magnetic field is brought near it. A Hall effect sensor is a solid-state transducer that varies its output voltage according to the strength of a magnetic field, meaning it has no moving parts. This means that it is not susceptible to vibration or shock, unlike a reed type sensor. The sensor is based on the Z-Wave Plus standard and also supports protected mode with AES-128 encryption. It has tamper detection and an LED indicator with 7 different colours. The temperature measuring range is 0-60°C (32-140°F) with an accuracy of 0.5 deg C. The battery used is a single ER14250 ½ AA battery that should be good for 2 years. Everspring is a Taiwanese company and has been in the home security space since 1980. Today they produce burglar alarms, surveillance devices, home automation appliances, and security lighting. Their Z-Wave sensors are well-regarded and popular among the home automation community, especially their outdoor motion sensors. 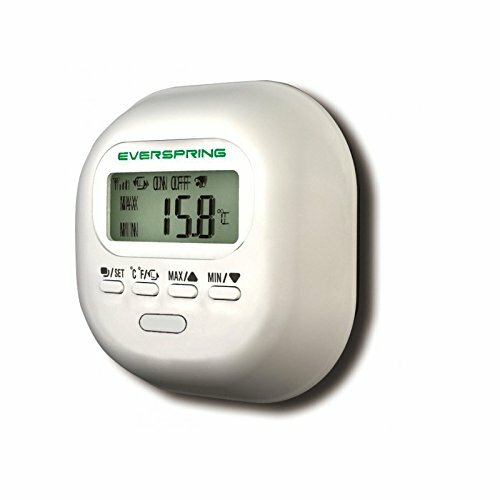 The ST0814 is quite unique – it is the only temperature and humidity sensor I have seen with a back-lit LCD screen. So you can check readings without the help of any other device such as your smartphone. Temperature measurement range is -10°C to 50°C and accuracy within 2°C. Humidity can be measured between 20% to 85% Relative Humidity. Power is provided by 3 x 1.5V Alkaline AA batteries and low battery warnings are available. It can also make a 60 dB beep tone. The buttons on the device allow you to see the max and min values recorded, switch units and change settings. There is also an ice warning feature – if the temperature falls below freezing, the display will illuminate and the 60 dB beep tone will sound continuously at 1 second intervals. Pressing any key will stop the beep tone. I have enjoyed my multisensors and the immense array of possibilities they have opened up in monitoring my home and setting up advanced scenes. What have you achieved with your sensors? Let me know in the comments below!